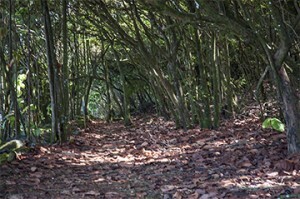 Devil’s Island, L’île du Diable, is one of the most evocative, terrifying, inspiring, and memorable places I know of. 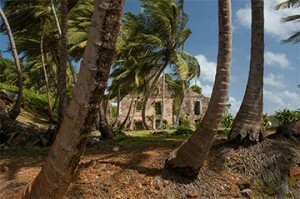 To be precise, Devil’s Island is one of three islands that make up Les Isles du Salut, the Salvation Islands. 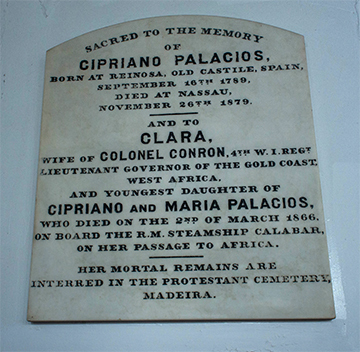 And those three were in turn part of the vast prison complex established by the French in their colony of Guiana off the southeastern coast odds of South America. 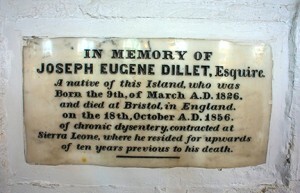 As a whole, the complex was known by its most evocative island name, Devil’s Island. 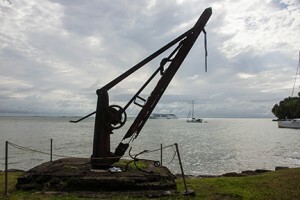 You do not visit Devil’s Island without some of it staying with you the rest of your life. The good news, of course, is that we are sailed in on one of the most luxurious cruise ships in the world. And the even better news is that we sailed away in the early evening, just in time for drinks at the Bar and a five-star dinner. 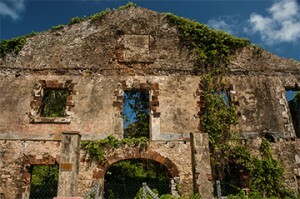 It was not at all like that for the 70,000 or so guests who checked in to Devil’s Island between 1852 and 1953. 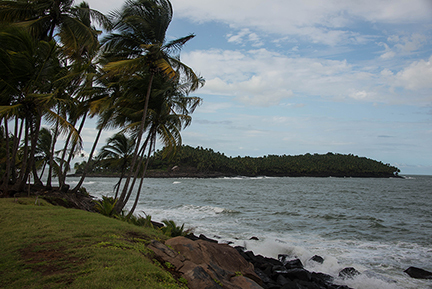 Devil’s Island and the two nearby islands as well as the mainland of French Guiana was used by the French as a penal colony for 101 years. It was a hot, humid, disease-ridden, outpost of hell. 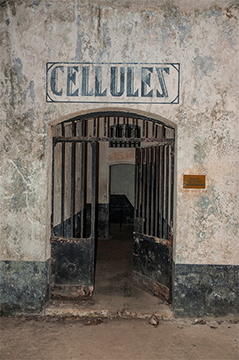 The vast majority of the prisoners sent to the Devil’s Island prison system never made it back to France. 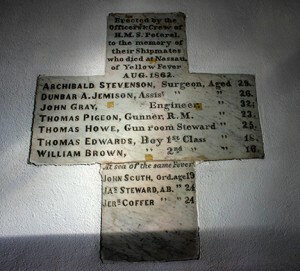 Many died due of disease and harsh conditions. 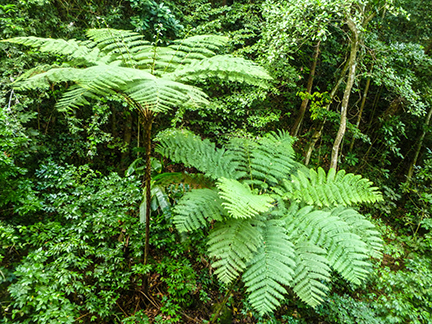 Sanitary systems were limited, and the region was mosquito-infested, with endemic tropical diseases. Only a few convicts ever successfully escaped, and most of them were captured on the mainland. Devil’s Island is the third-largest of the ironically named Îles du Salut (Islands of Salvation). To be precise, we came ashore at the Ile Royale, which was part of the prison complex. 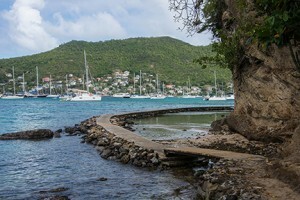 On the far side of Royale is a view across a narrow strait to Devil’s Island. 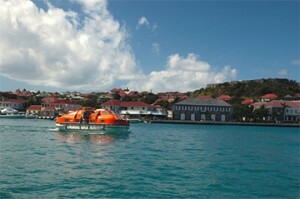 It is not considered wise to swim in the rough currents between Royale and Devil’s Island. Not so much the currents; the sharks. It’s a rather foreboding place, with not much to recommend it unless you like to see marauding bands of super-sized rodents, large monkeys, and killer sharks patrolling close to shore. 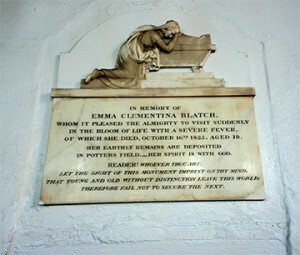 The reason we visit is to immerse ourselves in the history of the place. The penal colony was not a secret. 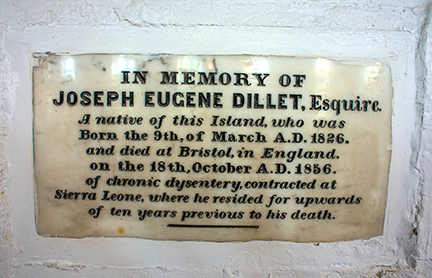 In 1895, French army captain Alfred Dreyfus was unjustly convicted of treason and sent to Devil’s Island in 1895. The French author Emile Zola helped bring about a retrial of Dreyfus, and eventually he was exonerated. In 1938 the penal system was strongly criticized in Rene Belbenoit’s book Dry Guillotine. Shortly after the release of Belbenoit’s book, the French government announced plans to close the bagne de Cayennes. 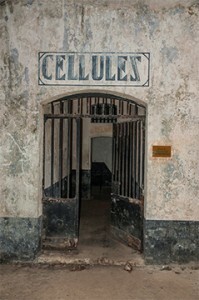 The prisons were kept open during World War II, but from 1946 until 1953, one by one the prisons were closed. The Devil’s Island facility was the last to be closed. And then in 1970 came the book Papillon, published as a memoir by a former prisoner, Henri Charrière who had a tattoo of a butterfly, a papillon, on his chest. Charriere’s book was an international bestseller, and in 1973 the film Papillon, starring Steve McQueen and Dustin Hoffman made the story part of the global cultural DNA. 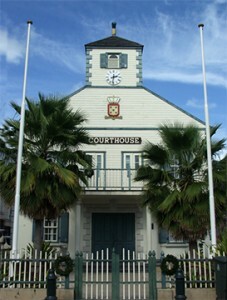 Charrière said that all events in the book were truthful and accurate, allowing for minor lapses in memory. A few hours walk around the island leads to this conclusion: close enough, and let’s be on our way. 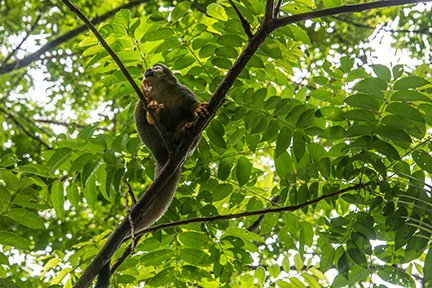 Monkeys on high, cat-sized agouti down low. Neither were much bothered by our presence. The church, one of the few places of relative “liberty” for the prisoners. And a section of the housing for the guards, very different from the cells for the inmates. We are headed now for the Amazon River. My next blog post will come on Sunday, 1 February from Santarem. All photos copyright by Corey Sandler, all rights reserved. If you would like to purchase a high-resolution copy of an image please contact me. First of all, the island we visited is pronounced GREN-ayda. GRAN-ahda is the city in Spain. But according to some, both city names have as their root the Spanish word for Pomegranate, which in turn may have come from the Arabic. 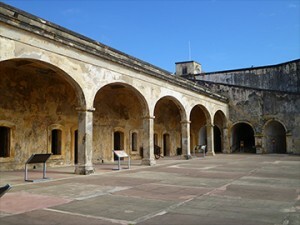 The island was sighted by Christopher Columbus on Aug, 15, 1498, and he called it something else: Concepción. 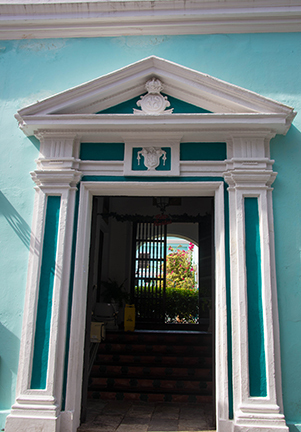 At some point after Columbus, Spanish explorers in the Caribbean renamed the island in honor of the great Spanish city of Granada. And then over time, the pronunciation changed. And just to make complete the circle of confusion here, although the Spanish did introduce pomegranates in the new world, that happened in the mid-18th century…and not on the island of Grenada. The British, another great colonial power in the region, introduced a different plant: stealthily imported nutmeg trees from the Banda Islands of Indonesia. So, no pomegranates in Grenada. But lots and lots of nutmeg. Grenada is an independent nation consisting of the main island of Grenada and six smaller islands at the southern end of the Grenadines in the southeastern Caribbean Sea. The island is just 133 square miles or 344 square kilometres, and the estimated population is about 110,000. 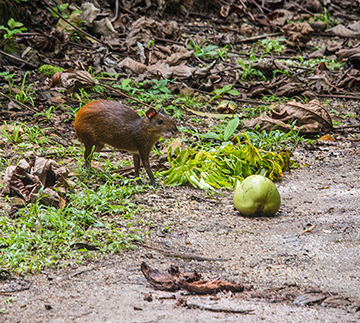 Grenada is very lush and green, in a semitropical climate with rich volcanic soil; many types of fruits, vegetables, and spices grow on the island: cinnamon, cloves, ginger, allspice among them. 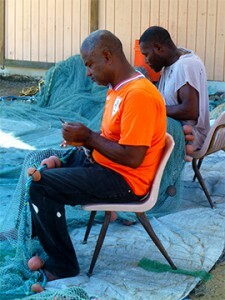 But the singular spice that is one of Grenada’s signature products is Nutmeg. Did I say, “singular?” Once again, things are a little unusual here. Nutmeg is one of two spices derived from the Myristica genus of evergreen trees. The same tree, actually the same fruit, also yields another spice, called mace. The nutmeg is the egg-shaped seed of the tree, about an inch long and half an inch wide. Mace is the lacy reddish covering or aril of the seed. All this talk about nutmeg is for good reason: at one point, nutmeg was an especially valuable spice, the source of great conflict between Arab traders who knew the secret source in Indonesia and western buyers who craved it very much. 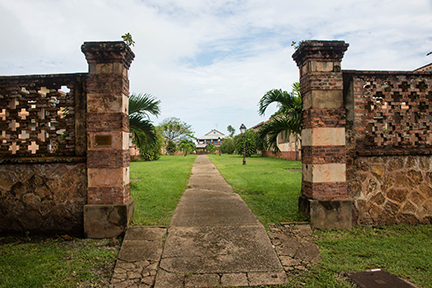 Today, about 20 percent of the world’s nutmeg comes from Grenada, and 75 percent from Indonesia. 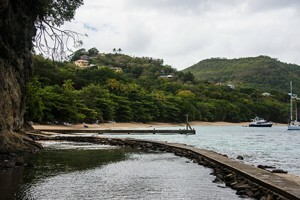 The food and the culture and the way of life in Grenada is appropriately spicy, with more than a bit of Jab Jab, a local version of voodoo centered around a menacing she-devil. I shall end my blog without further comment; don’t want to get on the wrong side of La Diablesse. 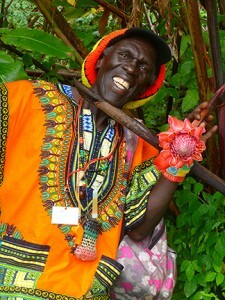 Our guide, Dean, with one of the amazing flowers of the rainforest of Grenada. 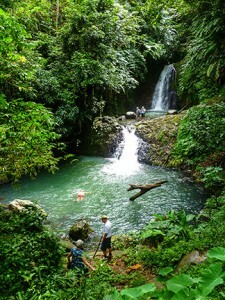 The Seven Sisters Waterfalls, the end of a muddy, difficult hike. It was very much worth the effort, although my knees will ache tonight. All photos copyright by Corey Sandler, all rights reserved. If you would like to purchase a high-resolution copy of an image, please contact me. 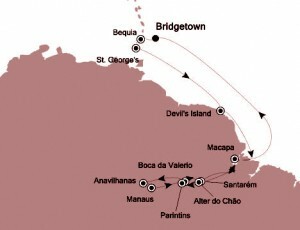 Our first port on this cruise is the “island of the clouds”. That’s the meaning of Bequia in the language of the pre-European settlers, the Arawaks. 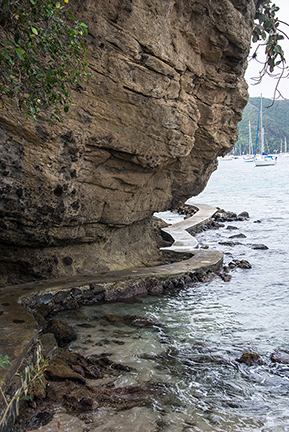 Bequia is part of the independent nation of Saint Vincent and the Grenadines, about 9 miles or 15 kilometers south of the nation’s capital, Kingstown, on the main island, Saint Vincent. 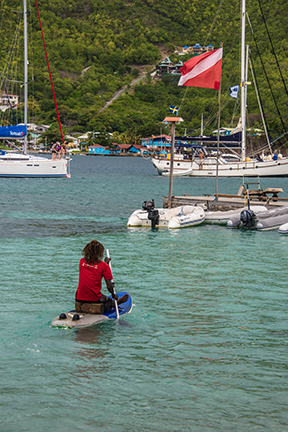 And then below Saint Vincent is a chain of small islands called the Grenadines, a chain of more than 600 specks of sand and rock in the Windward Islands. 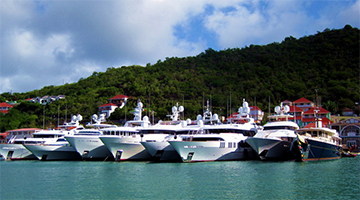 The Windward Islands are the southern, generally larger islands of the Lesser Antilles. 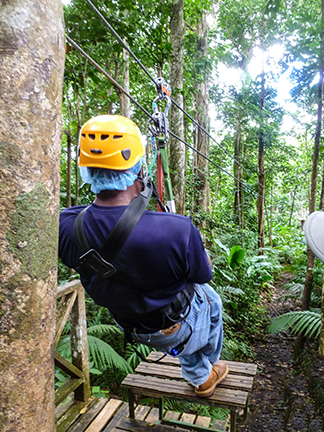 As a group they start from Dominica and reach southward to the North of Trinidad & Tobago. Bequia is the second largest island in the Grenadines, second only to Carrioucou, which might make you think it is big, but it is only 7 square miles or 18 square kilometers. The population of Bequia is about 5,000 people, which is less than the capacity of some of the monster cruise ships that sail nearby. The good news, though, is that the huge ships pass it by. We are the only cruise ship at the island. I’ll drink to that. The path from Port Elizabeth to Princess Margaret Beach, around the corner. 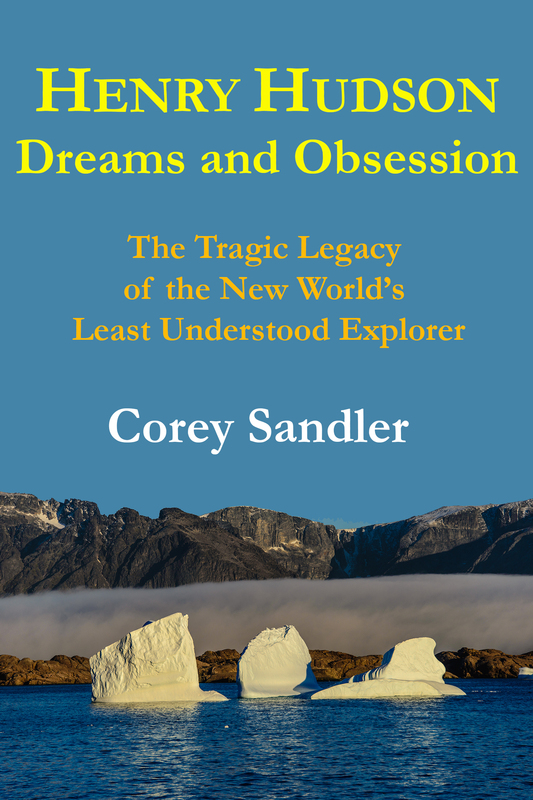 All photos copyright Corey Sandler, all rights reserved. If you would like to purchase a high-resolution copy of an image, please contact me. 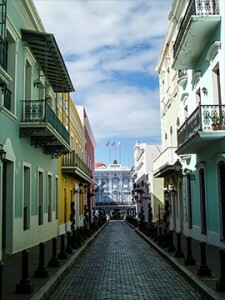 To guests leaving us here in Bridgetown, safe travels. And to new guests, welcome aboard. 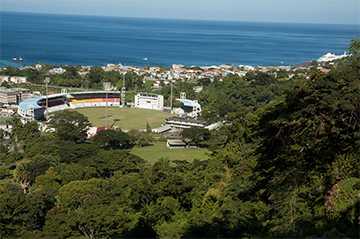 Barbados, along with Jamaica, is one of the most English-like islands in the Caribbean. That stands to reason…since its first permanent settlers arrived from England in 1627 and to some extent never left…although the population today are mostly descendants of African slaves or indentured servants from India. Barbados became an independent state in 1966. Queen Elizabeth II is still the constitutional monarch. And so on Barbados they love their cricket and their rum, often combining the both under the Caribbean sun. Sometimes with a break for tea. 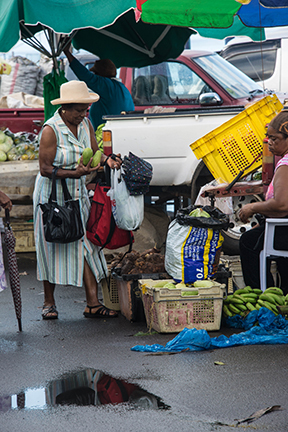 About 90 percent of Bajans are of African or mixed descent, with small groups from India, China, Ireland, and the Jewish diaspora. Here in Barbados, the big party is not Carnival. Instead it is the Crop Over festival, held for most of the month of July into early August. 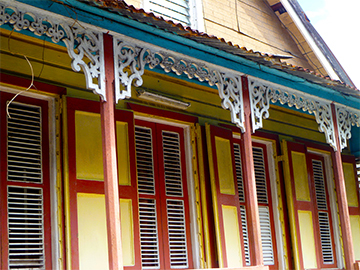 The origins of Crop Over can be traced back to the 1780’s, a time when Barbados was the world’s largest producer of sugar. Nearly everyone gets into the parade or the musical performances, colorfully dressed (or barely dressed) for the occasion. In recent years, a guest at Crop Over is a hometown girl who made good: the pop singer Rihanna. She was born in Saint Michael, Barbados in 1988, which means that most of us have shoes older than she is. 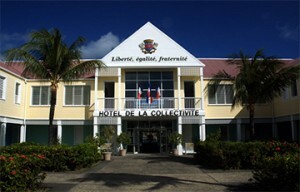 Rihanna grew up in a three-bedroom bungalow in Bridgetown and sold clothes with her father in a stall on the street. Forbes estimated her 2012 earnings at about $53 million, which would be about $106 million Barbadian dollars, in a place where the per capita income is about $16,000. Good for her, I suppose. To her credit, at least some of those tens of millions of dollars have made their way back home. 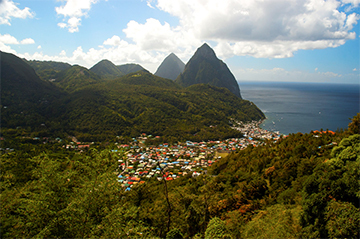 Like so much of the Caribbean, it is easy to look at Saint Lucia and see only a pretty, green island fringed by sandy beaches and lorded over by some unusual geological formations. It is all of that. But it is also a place with a bit of history, an independent nation now part of the British Commonwealth that in its first 150 years of recorded history ping-ponged back and forth between England and France 14 times. The island bears the name of a Sicilian saint. 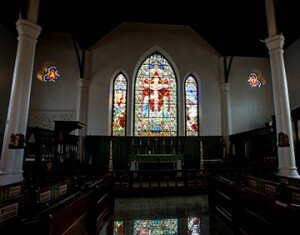 It has an English heritage now, but holds on to French influence. There are only two Pitons on Saint Lucia, but they are almost impossible to miss. They can be seen from almost everywhere on the island. They’re on the flag, one of the more handsome standards I’ve seen. 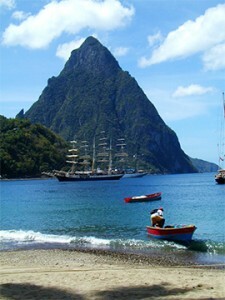 And they’re on the local beer, which naturally moves the Pitons onto billboards and t-shirts, and carnival floats. The Pitons are volcanic plugs, part of the Soufriere volcanic complex, remnants of huge collapsed stratovolcanoes. A plug is created when magma hardens within a vent on an active volcano. This particular vent is believed to be dormant and over time the surrounding hill has been eroded away, leaving only the plug. 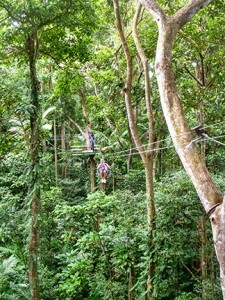 Today, I went with a group of guests to the rainforest. There we rode up the mountain on an aerial tram and then–wearing a triple-secure harness–we flew from one platform to another, 90 feet above the ground on a zip line. It was a peak of a different kind. We are arrived in Dominica, a place whose name often gets confused with the much larger country of the Dominican Republic which occupies about half of the island of Hispaniola near Jamaica and Cuba. 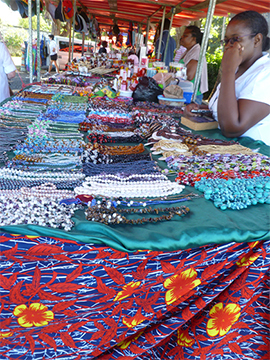 Dominica got its name from the Latin/Spanish words for Sunday (Dominica) or the Italian equivalent (Domenica). Here in the Caribbean, it is pronounced DOH-men-EEKA, in a not-often-successful attempt to distinguish the place from the much larger and unrelated Dominican Republic. 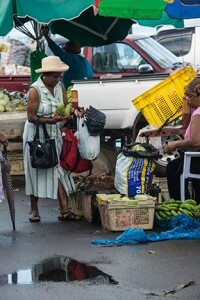 At the market in Roseau, a small port town that retains much of the flavor of the Caribbean before many islands were invaded by massive cruise ships and relentless armies of tourists. We are the only ship in port today. The bestower of the name was Christopher Columbus, who must have been running out of saints on November 3, 1493; he named the island after the day of the week on which he spotted it, Sunday. 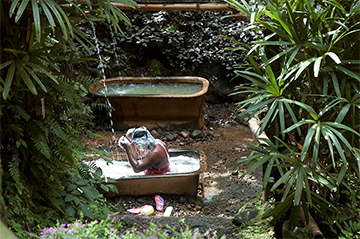 Dominica sits midway along the Eastern Caribbean archipelago, just a few miles from the French islands of Martinique to the south and Guadeloupe to the north. The island was not considered a high priority for the Europeans and they mostly left it alone in the first century of colonization. The Arawaks and the Kalinago/Carib tribes were already hiding when European settlers got around to paying attention to Dominica. 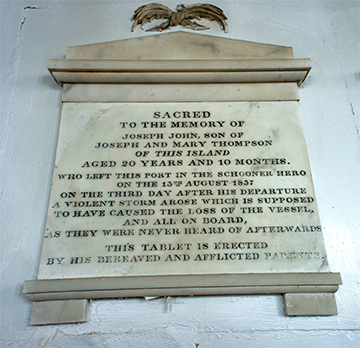 They did not fully escape; there is a waterway on Dominica called the Massacre River. It is said the river ran red with blood for days after incursions by French and British settlers. Nevertheless, Dominica has one of the few remaining groups of Carib or Kalinago people. About three thousand self-identified Caribs live on Dominica; some have intermarried with other races or cultural groups. Today the descendants of the Caribs have a six-square mile (15-square-kilometer) territory on the east coast of the island. 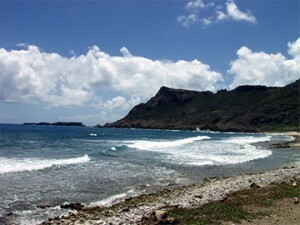 The island is perhaps the youngest of the Lesser Antilles; it is still being formed by geothermal-volcanic activity. 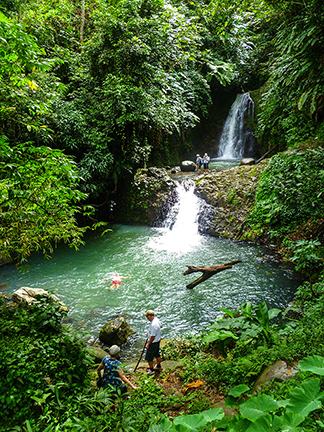 If you’re truly interested in things like that, on Dominica you can visit the world’s second-largest boiling lake, about 7 miles or 11 kilometers east of Roseau. What we have is a flooded fumarole, an opening in a planet’s crust usually found near volcanoes, which emits steam and carbon dioxide, sulfur dioxide, hydrochloric acid, hydrogen sulfide and other gases. Superheated water turns to steam as it emerges from the ground and its pressure suddenly drops. On Domenica, Boiling Lake is about 200 feet or 60 meters across; it is filled with bubbling greyish-blue water that is usually enveloped in a cloud of vapor. 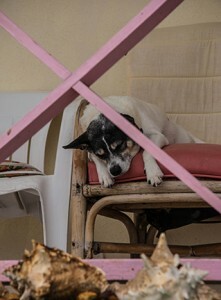 All photos copyright by Corey Sandler, all rights reserved. If you would like to purchase a high-resolution copy of any image please contact me. One relatively small island, about 34 square miles or 87 square kilometers. Two countries: the constituent country of the Kingdom of the Netherlands on the southern side, and the French overseas collectivity on the north. Three names: Sint-Maarten to the Dutch. Saint-Martin to the French. Four dominant cultural heritages: African, French, British, and Dutch. Silver Cloud docked in Philipsburg on the Dutch side, one of the largest cruise ship ports in the world. 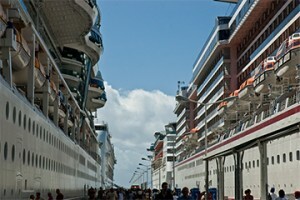 And today, five cruise ships in port. One is the largest floating passenger carrying machine in the world with nearly 6,000 guests and 3,000 crew. Three others are merely huge. 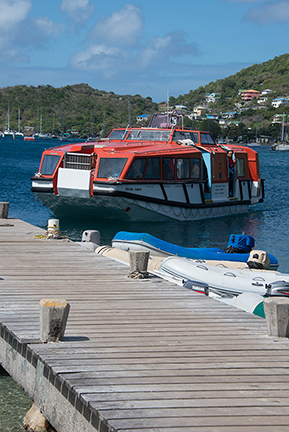 For the record, although the French side is larger and in some places more attractive with the better beaches and restaurants, the Dutch side has the significant harbor of Philipsburg. 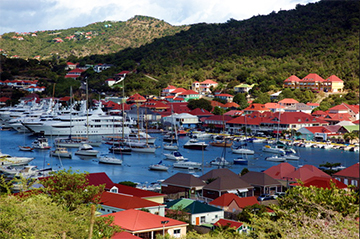 Depending on your point of view, on a good day (for business) or a bad day (for people who seek a bit of solitude) there can be as many as six large ships in port: there could be twenty thousand guests and another ten thousand crew headed for the narrow alleys of Philipsburg. The Dutch side also has Princess Juliana International Airport. This is probably the only place they could have put a flat runway on the oddly shaped island. 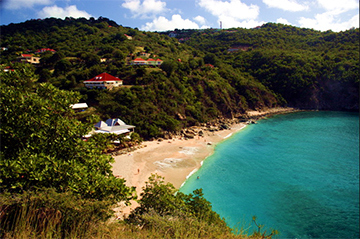 But there is so little available land on Saint Martin that this is what they came up with: one end is a public beach and the other is Simpson Bay with a range of thousand-foot hills. I am much happier to be coming in and departing aboard a handsome small cruise ship. All photos copyright Corey Sandler, all rights reserved. If you would like to purchase a high-resolution image, please contact me. 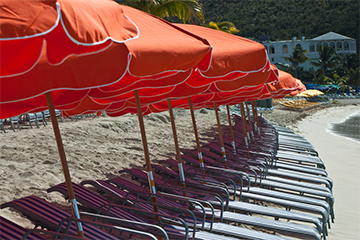 Saint Barts is tres, tres French…in a Swedish kind of way. And today, the narrow lanes and handsome harbor are patrolled by tourists, oligarchs, and those that make a handsome living indulging them quite well. All photos copyright Corey Sandler, all rights reserved. If you would like to purchase a high-resolution copy of any image, please contact me. 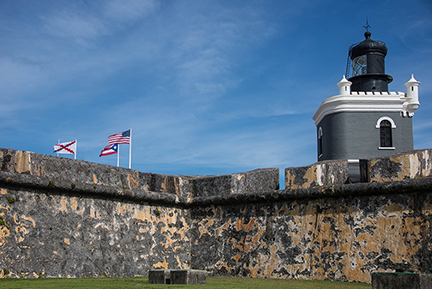 The flagpoles at the massive El Morro castle in San Juan customarily fly three flags: the United States, the Commonwealth of Puerto Rico, and the Cross of Burgundy. The last one, Las Aspas de Borgoña, was the standard widely used by Spanish armies around the world from 1506 to 1785. That makes sense for this handsome part of the United States, a place where English is the second language, and the population are Americans with most of the rights of other citizens except for voting representatives in Congress. Over time, the names reversed. 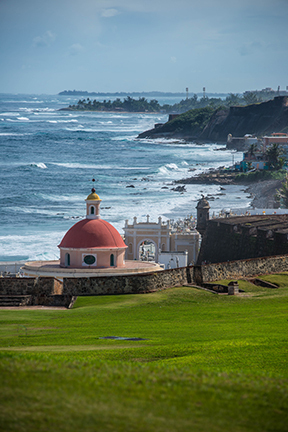 The entire island became known as Puerto Rico, while the city took the name San Juan. 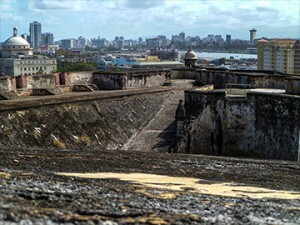 Puerto Rico remained Spanish territory despite attempts to capture the island by the French, Dutch, and the British.Like Cuba, Puerto Rico remained a Spanish colony until 1898 when the Americans took over. And then came the Americans. Puerto Rico had been on the to-do list of the Americans for some time, although the big prize was seen as the huge island of Cuba. The dominos fell in the short but decisive Spanish American War of 1898, essentially an American choice to intervene in the Cuban War of Independence. American attacks on Spain’s possessions spread from the Caribbean to the Pacific, and American involvement in the Philippine Revolution and ultimately the Philippine–American War. 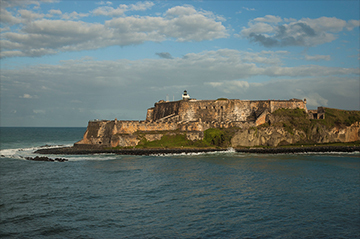 The most dominant structure in San Juan is El Castillo San Felipe del Morro, or Morro Castle. 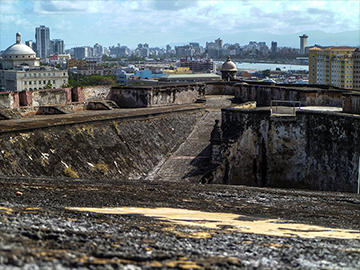 This citadel was begun in 1539 on orders of King Charles V of Spain. The fort was designed to guard the entrance to the San Juan Bay, and defend the Spanish colonial port city of San Juan from seaborne enemies including the English, Dutch, and Pirates. Its last, brief and unsuccessful battle, came when the Americans landed in 1898. And they’re still there: the citizens who live there now and millions of tourists who come by cruise ship and jet to La Isla del Encanto, the enchanted isle. We sailed out of tony Fort Lauderdale on Friday evening, saluting—and being saluted—by many of the residents of condominiums who have their own version of a waterfront veranda. Almost every day during the winter season, half a dozen or so ships sail by in the channel. This morning we arrived in Nassau, Bahamas. 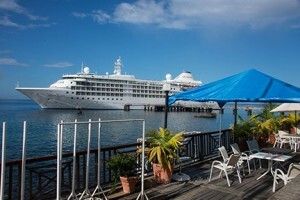 There were five major ships in port, along with the elegant (comparatively tiny) Silver Cloud. 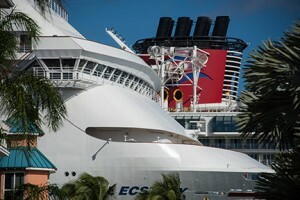 By my math, about 17,500 guests and crew arriving by 9 am, departing before dinner. Ships (not ours) double and triple-parked in the harbor at Nassau. As destination consultant, I always tell guests in this part of the world that it is one of my goals to help they understand that the Caribbean is much more than Diamonds International and t-shirts that change colors in the sun. Not that there’s anything wrong with that, but many of the islands have been so heavily plastered over with tourist lures and generic shops that it is easy to forget these are places of considerable history. To understand Caribbean islands you need to get beyond the tourist district. Visit the remnants of Colonial power, the old churches and cemeteries, and in some places the small vestiges of the indigenous peoples: the Taino, the Arawaks, the Caribs among them. 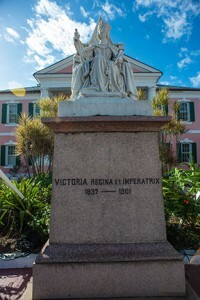 A remembrance of Queen Victoria in Nassau. 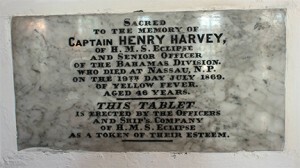 On our visit today we left the ship early and headed for Christ Church Cathedral. 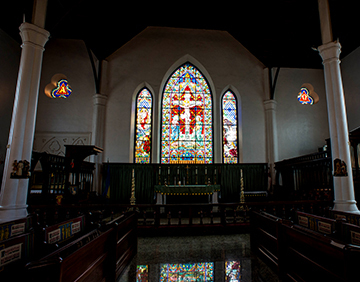 This is the Mother Church of Anglican churches in the Bahamas and the Turks and Caicos Islands. 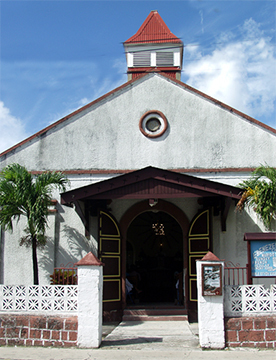 In 1670, King Charles II granted the colony of The Bahamas to the proprietors of Carolina and directed they build a house of worship. They did, and it stood until 1684 until it was destroyed by the Spaniards. 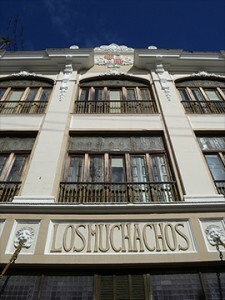 The present building, which incorporates some of the old fixtures, was built in the late 18th and early 19th century. 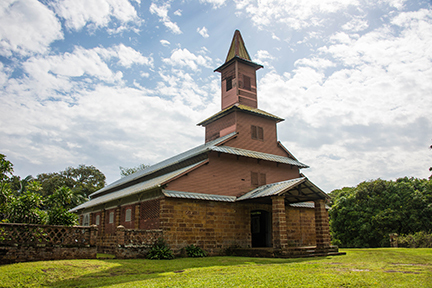 It is a simple, attractive wooden structure, home to the Anglican Episcopal community—a remembrance of British times at the corner of King and George streets. Christ Church Cathedral in Nassau. Our focus was on the memorial plaques that line its walls; each one tells a story, and together they explain the culture that lies beneath today’s tourist makeover. 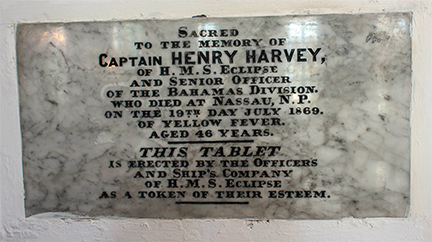 Among many evocative memorial plaques was one remembering crew from HMS Peterel who died of Yellow Fever in Nassau in 1862. I’m going to take an educated guess here and say the following is quite possible: the British ship may have been directly or indirectly involved in blockade running, trading with the Confederate States during the U.S. Civil War. Yellow Fever and Malaria outbreaks were common in tropical and subtropical ports, and both The Bahamas and Bermuda were used as transfer and supply points for the blockade runners. All photos copyright 2015 Corey Sandler. If you would like to purchase a high-resolution image, please contact me. 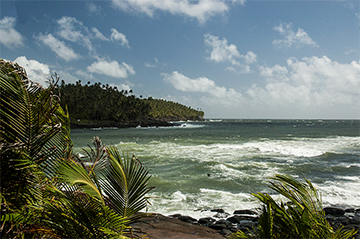 After a vacation at home for the holidays, we’re back on the Cloud for a journey to the southern Caribbean and, on later cruises, to South America and up the amazing Amazon River. 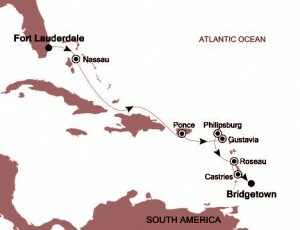 We sail from Fort Lauderdale, with our first stop the bustling island of Nassau where we will not be alone. This cruise includes several of the obvious suspects: well-known places like Nassau, San Juan, St. Barts, and Sint Maarten. Not that there’s anything wrong with them; they are well-known for good reason. 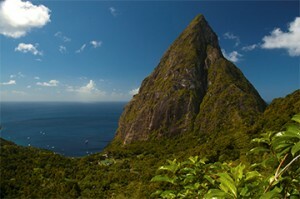 But there are also some less-visited gems including the lush green islands of Dominica, St. Lucia, and Barbados. I’ll be posting photos and commentary throughout; I hope you’ll join me here.